The Pokemon Company International and Fathom Events partner to bring Pokémon The Movie: The Power of Us to cinemas in select locations worldwide. The first trailer has been unveiled for the new animated Pokémon Movie, coming to theaters as a Limited Release Later This Year. Today, The Pokémon Company International announced that it is once again partnering with Fathom Events to bring a new animated film, Pokémon the Movie: The Power of Us, to select cinemas in multiple territories as a limited theatrical release. Participating locations in the US will show the event on November 24, 26, and 28, as well as December 1. The agreement with Fathom Events, the recognized leader in event cinema distribution, follows a successful cinema event collaboration last year that showcased Pokémon the Movie 20: I Choose You! and garnered strong attendance worldwide. Based on the globally popular Pokémon brand, Pokémon the Movie: The Power of Us follows Ash and Pikachu as they join forces with a diverse new cast of characters to rescue a seaside town from a series of threatening incidents. Filled with unique challenges and thrilling Pokémon battles, and set during a festival celebrating the Legendary Pokémon Lugia, this heartwarming film illustrates the value of teamwork and putting aside each other's differences. Said J.C. Smith, senior director of consumer marketing at The Pokémon Company International. "Pokémon the Movie: The Power of Us gives fans and families an opportunity to come together in witnessing new plotlines, characters, and settings unfold in the Pokémon world. We can't wait to bring the magic of Pokémon to life on the big screen again with Fathom Events' expertise in event cinema." The highly anticipated Pokémon the Movie: The Power of Us will be shown in movie theaters in select markets. More information on the cinema events, including participating movie theaters, screening dates, and ticketing, will be available soon. 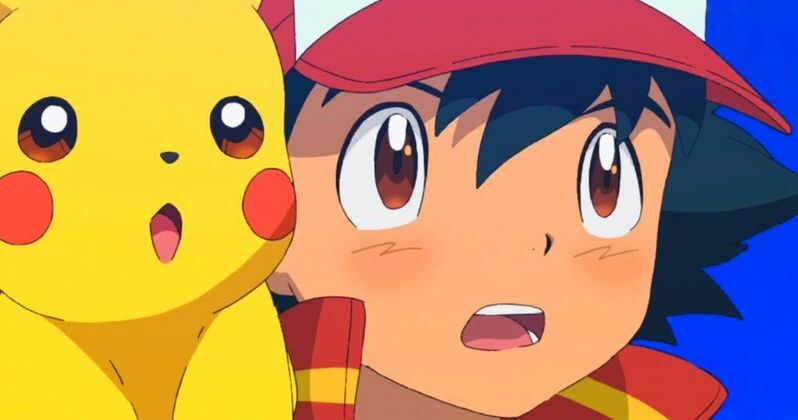 Since debuting as Pokémon the Movie: Everyone's Story in Japan, where the Pokémon franchise originated, the movie has already received widespread viewership. Said Ray Nutt, CEO of Fathom Events. "We are excited to work with The Pokémon Company International on their latest entry in animation by debuting Pokémon the Movie: The Power of Us outside of Japan. We look forward to delivering another high-quality Pokémon experience that will delight fans nationwide and abroad." The Pokémon Company International, a subsidiary of The Pokémon Company in Japan, manages the property outside of Asia and is responsible for brand management, licensing and marketing, the Pokémon Trading Card Game, the animated TV series, home entertainment, and the official Pokémon website. Pokémon was launched in Japan in 1996 and today is one of the most popular children's entertainment properties in the world. Fans were treated to the first movie trailer on the official Pokémon YouTube channel at Pokemon Youtube. They can also visit www.FathomEvents.com now to sign up for updates on the upcoming limited theatrical release. To learn more about Pokémon animation, visit www.pokemon.com, and join the conversation on social media with #PokemonThePowerOfUs.